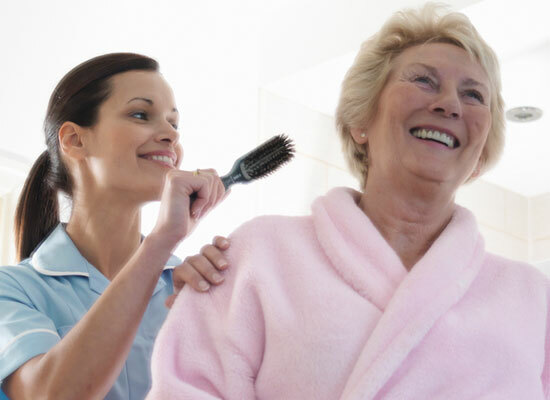 A provider of compassionate home care services that you & your family can trust and rely on. Compassion Home Care is a locally owned and operated non-medical home care agency serving families throughout the greater Chicagoland area. 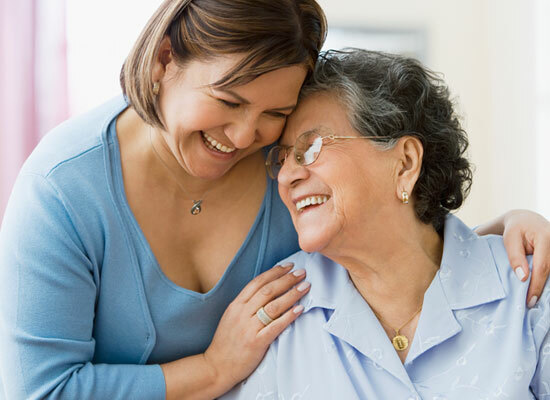 We provide private-duty caregivers to assist individuals of all ages with their activities of daily living. Whether you’re discharging from a hospital or rehabilitation center after illness or surgery, living with a disability or a senior citizen dealing with the natural process of aging, our dedicated caregivers are committed to helping you ease the transition from hospital to home and maintain the sense of normalcy & independence you deserve while remaining within the comfort of your own home. Often times it’s difficult for people to acknowledge and accept that they could use a little extra help. We all want to live independent lives, for as long as possible. However, there comes a time when we all must realize that a little extra help can actually go a long way. This simple questionnaire will help you determine if your loved one may benefit from having a private-duty caregiver to assist them with their basic everyday needs. We are very pleased with the truly compassionate care they are providing. It’s a tremendous relief to have the peace of mind knowing that mom is well taken care of. Compassion was the only agency that was able to accommodate us with a same day care assessment and consultation. We provide a full-time live in home care option for those who desire to live independently within the comfort and safety of their own home. The caregiver will provide care during the day and will stay with the client at night to provide bathroom and other overnight assistance. Client is responsible for providing sleeping accommodations & meals for the caregiver. The caregiver should have at least 6 hours of uninterrupted sleep at night & several reasonable personal breaks during the day. 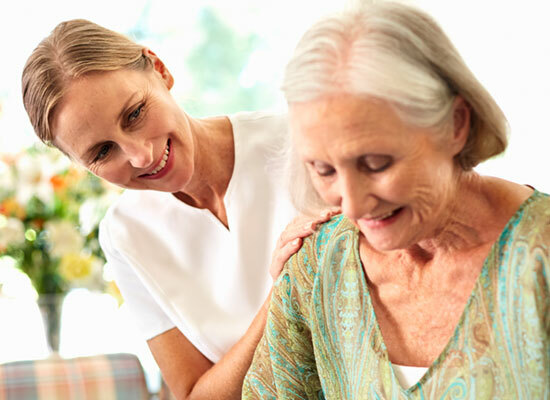 Our hourly home care services offer you the flexibility to choose which specific hours of caregiver assistance you or your loved one requires. A minimum of 6 hours and up to 24 hours of continuous care can be provided as needed. We can also accommodate circumstances that call for 24 hour care around the clock 7 days a week. Typically this will involve 2 or 3 caregivers working in 12 or 8 hour shifts, respectively. Food provisions and sleeping accommodations for caregivers are not required. Respite Care provides short-term relief. 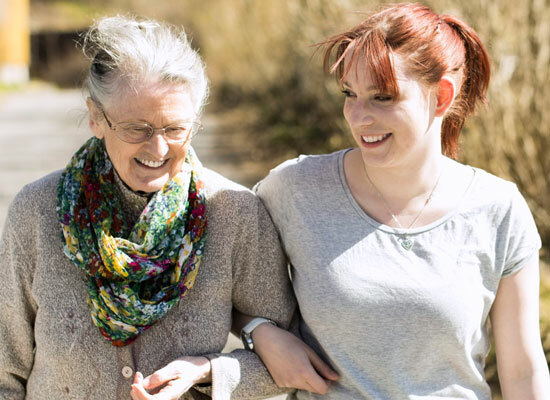 We understand that family members and friends who are caregivers occasionally need time away from their regular Home Care duties to attend to life’s other obligations or simply to re-energize. In these cases, we are more than happy to step in and provide you with the peace of mind knowing that your loved one is taken care of even when you’re away, whether it’s several days or simply overnight. What is the difference between Live-In Care & 24 Hour Care? 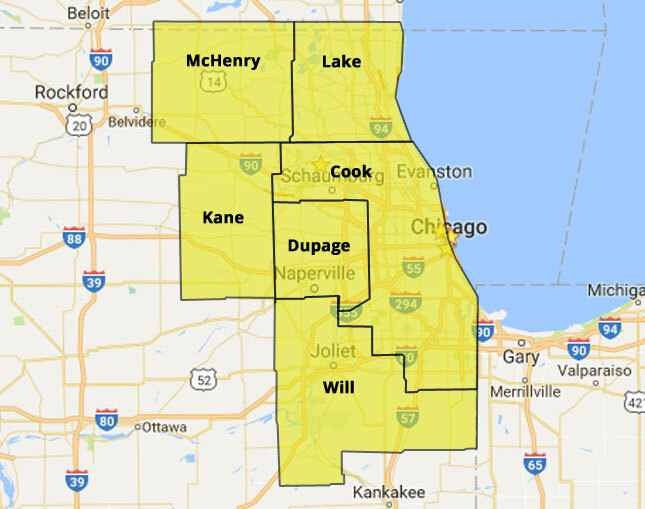 We offer Illinois Home Care services within the following counties: Cook, Lake, Will, DuPage, McHenry and Kane.